Indian weddings are generally very festive and colorful. Indian weddings involve several functions like mehendi function, reception, wedding function and many more. Indian weddings are time consuming because they are carried out in a traditional way and involves many rituals. Indian brides have to prepare themselves before a week from the wedding day. Wedding involves lot of planning and preparations. Wedding day is obviously the biggest day in a girl’s life. Thus being a bride, you have to focus mainly on your appearance on your wedding. You are the one who will be the centre of attraction on your wedding day. Wedding day brings lot of excitement and nervousness for the bride. The excitement is about the wedding day when all her dreams and desires will come true and the nervousness is about how to look most beautiful and perfect on wedding day. If you make yourself prepared in advance, you can avoid wedding day disasters. To get a glowing face, you have to wash your face daily 2-3 times at least. To keep your skin hydrated, you should use moisturizing lotion otherwise your skin will become dry. Some days before your wedding day, you should apply a face pack on your skin to make your skin glowing. First of all, you have to be careful while choosing your cosmetic make up products to avoid any type of side effects that will ruin your appearance on wedding day. Choose the products that will suit your skin and do not cause any harm to you. You can buy variety of makeup products with Flipkart offers. Face makeover- The first thing to use before applying makeup on your face is foundation. You should go with the branded one when it comes to choosing foundation for your skin. Check the color and shade of the foundation in natural light carefully before applying it on your skin. Foundation helps to hide the wrinkles and fine lines on your face. To hide dark circles on your face, you can use a concealer. To keep the foundation in place, you can use face powder. You can apply a blush on your cheeks to make your face more glowing. For lips- You can decide whether you want to use a lip gloss or a lipstick. But don’t forget to use a lip liner for outlining on your lips after applying the lip gloss/ lipstick. For eyes- Before starting eye makeup, don’t forget to apply the eye shadow base. 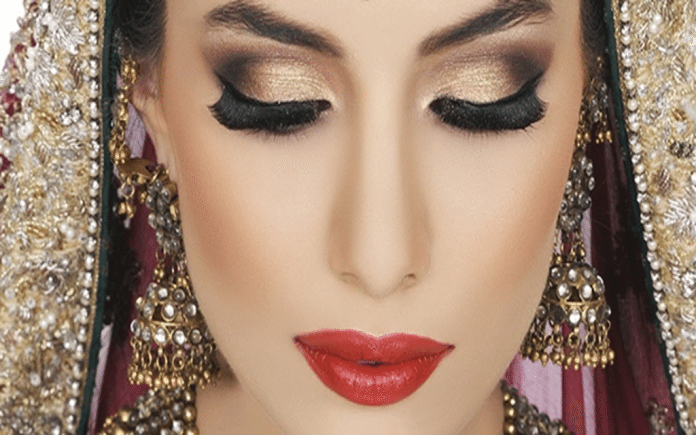 After this apply eye shadow of the color that matches your wedding outfit. Use the eyeliner after this to make your eyes more beautiful. To make your eye lashes gorgeous looking, you can use mascara. Hair style- You can try different hairstyles whichever you find best suits you, you can have that hairstyle on your wedding day. For getting a gorgeous look, you can put on accessories on your hair such as tiaras, floral bands and stylish clips.